Ive seen both smart phones iPhone 5-Samsung Galaxy S3,Both Are Amazing But To be Real ive Liked iPhone 5 more.Better Camera Since I use it A Lot Same To Web Browsing (At Speed And Battery)In Adittion To That ,I Liked ios6 More Than Android Jelly Bean.Also The Design is Better. Anonymous, 18 Dec 2012well u should try one.. mine works perfectly!I have ued both galaxy s3 and iPhone 5 . I had two S3's and on both smart stay only worked occasionally. I sold the s3 as I had a lot of trouble with getting a signal in the areas I go to and where I live. The iPhone 5 gets a much stronger signal but has terrible battery life , where the s3 had great battery life. I will keep using iPhone but what I would love is if someone could combine the best features of both these phones and make one super phone. That would be a phone I would be happy to pay a lot of money for!! Used to have both.. But finally sold the sgs as i rarely using it. I personaly prefer iPhone 5 smaller screen & iOS apps over android, from official (facebook iOS vs facebook android) to 3rd party (i just love tweetbot). And already bought lots of apps on iTunes store. As for spec, clearly samsung's better deal (bigger screen, microsd, microusb, removable battery), oh and NFC! i never use s-beam, but i do have some NFC tags sticking useless ever since i sold them. I also agree with one of the comment, apple tend to stop innovating the iPhones, awesome screen and keep getting thinner won't be enough. And they keep making it harder and harder to jailbreak, while it's good for preventing piracy, but many power user just can't do enough with non jailbroken device.. oh how i miss iFile and openSSH already, not to mention bunch of usefull tweaks on cydia..
well u should try one.. mine works perfectly! mawkli, 17 Dec 2012what about smart stay? its a really great option in the s3 lets get things clear here...in ... moreAnd some jerks still think smart stay works !! lets get things clear here...in this test. Always hated apple to the core of my heart. 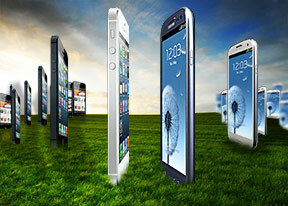 Things are changed,many companies have laid an excellent foudation of mobiles in the world,not including apple. So samsung and nokia rocks due to their accurate performance. Lenn, 09 Dec 2012Galaxy 3 blows Iphone 5 out of the water. Maybe next year they'll be able to touch the Iphones... moreGood point. Except for an app called bump which has been around for about 4 years now. Sumsun S3 RULES. Ts all clear here. Even a blind man can see it. Kkkkkkkkkk!! Bigger screen is not an edge in my book, I prefer iPhone5's screen any day. It all comes down to personal preference. alex, 11 Dec 2012Really well im a Samsung fanboy welcome to my world where Samsung is the worlds number 1 smart... moreThere really should be some reasonable level of IQ required to post on this forum. iPhone has an excellent build quality and a very very simple program (iOS) and the android has a disorder os no in order like a farm.the iPhone has also a simple designe who make him a premium top modest phone.smsung is laughing on you it is plastic worded than nokia who agree ? AnonD-46560, 07 Dec 2012Oh really? Mr Joker, i mean MadJoker (your username).... We iPhone 5 supporters are loosers?? ... moreThat why I don't use IPHONE. Do you think that you are living in one box? We are not living a lone in this world. I am not even proud of IOS. Android only one but can use a lot of manufacture hardwares. Which on is the good leader? Now it is Solidarity era. Not living in Hitler period. Even the charger also differ from other. One day it will fail when everyone understand its marketing strategies. Lenn, 09 Dec 2012Galaxy 3 blows Iphone 5 out of the water. Maybe next year they'll be able to touch the Iphones... moreAgree 100%.